We all know that music as we know it in the 21st century originated in Africa, but what routes did it go through? Travel experts Thomson sponsored this wonderful interactive infographic following contemporary music genres as the traveled from Africa to the US to Europe and beyond. From Swing to Disco and from Hip Hop to Trip Hop, check out the history of music. What are you listening to right now? And what would you like to drink? 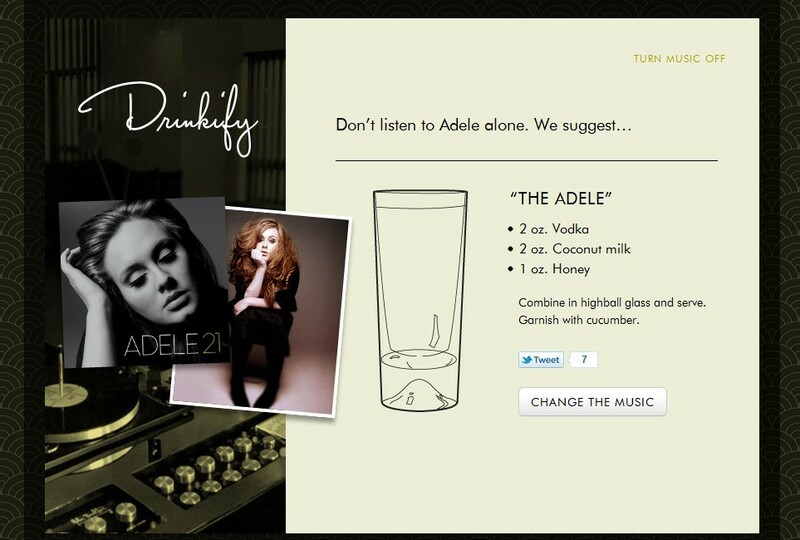 Well, there is a drink for every occasion. A bottle of Merlot for Ella Fitzerald and something sweeter for Adele, perhaps a vodka with coconut milk and honey. 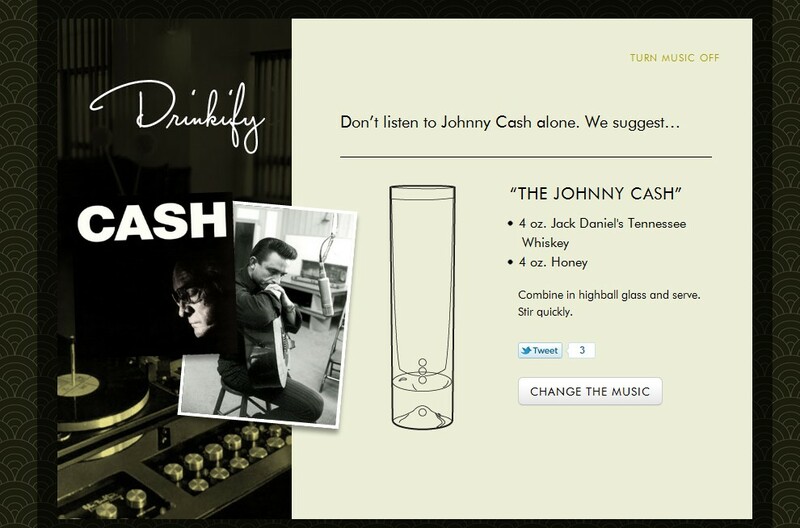 Drinkify is a website that suggests the most suitable drink to go along with the band or musician you’re listening to. 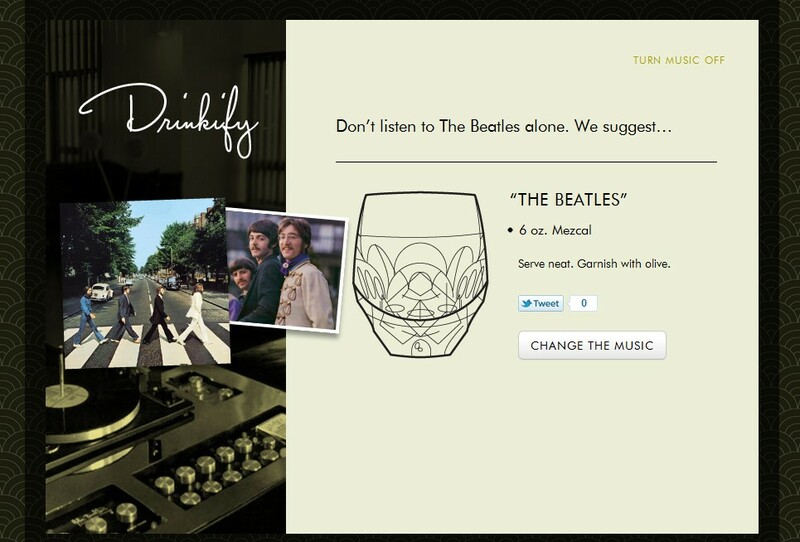 You just type the artist name and the application suggests a well known or not so.. cocktail, wine or drink. The Adventures Of Rain Dance Maggie by Red Hot Chili Peppers from their album ‘I’m With You’, out today. Musical notes have a life of their own and Dan Cohen managed to reveal it in his Animated Sheet Music, a series of beautiful animations of Miles Davis’, Charlie Parker’s and John Coltrane’s jazz songs. 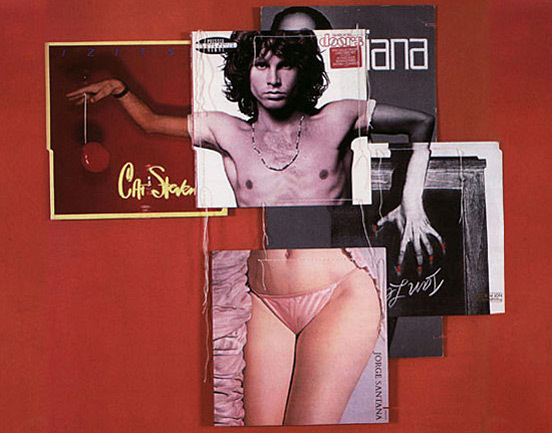 Create your own record cover, but from existing ones. 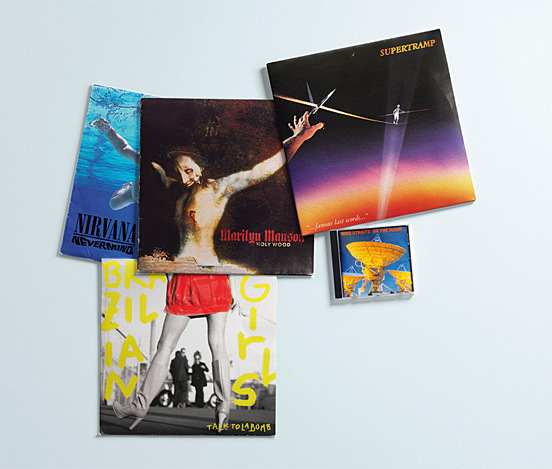 That what visual artist and composer Christian Marclay thought to do by mixing and matching different record covers. The result: beautiful musical and visual encounters of different genres and artists. Happy birthday Mr Robert Allen Zimmerman! You are currently browsing entries tagged with music at it's a small web.